The society provides Medical & Professional Public Liability Insurance for all eligible members redisident in Great Britain, Northern Ireland, Channel Islands, Isle of Man, and the Republic of Ireland as a benefit a membership. Members should ensure the cover is adequate for their needs, details of which are available from the Product Information downloads on this page, or on request. Members can also apply to the Society for evidence of insurance certificates. £2.5million in respect for any one claim with an overall aggregate limit of £5million for all claims in respect of each member in any one period of insurance. £5million for any one occurance. Qualified members must be legally registered to practice with any statutory regulatory body where applicable. Members may increase the level of Medical Professional Libility Insurance to £5 million any one claim (with a overall limit of £5 million for all claims in any one period of insurance) for an annual premium of £224 inclusive of insurance tax. Discounts may apply depending on the dates increased limits are applied (all top-ups expire annually on the 30th June in line with the master policy). To apply please complete the top-up application on this page and return to the address provided. 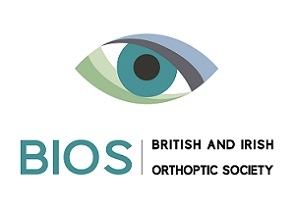 Members offering Orthoptic services via a partnership, private limited company or other legal entity should assess their insurance needs as the BIOS cover relates primarily to the protection of individual members. Members operating private clinics can insure the practice assets and revenues under a comprehensive package of insurance which also includes employers and public liability and a range of valuable legal expense insurance.